Tata Motors has huge expectations from Tata Hexa launch as it aims to recover lost ground in the Indian vehicle market. The amazing Tata Hexa 7 seater SUV might be rolled out in the Indian market by the end of October or early November. 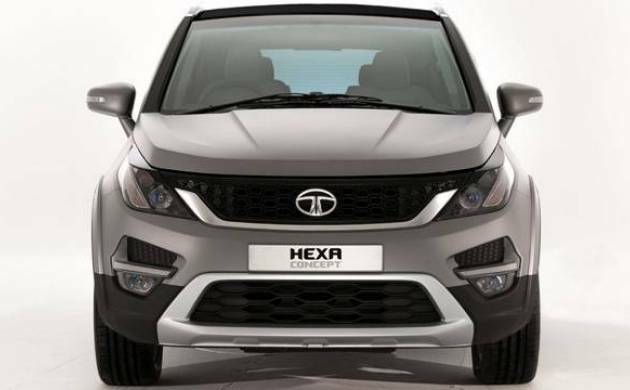 Tata Motors is all set to offer its new global SUV - Hexa to its Indian customers. The pre-launch activities of Tata Hexa are believed to begin from mid October. The Tata Hexa launch will expose the Indian customers to a powerful SUV. Further, Tata Hexa will also be the second Tata SUV to feature a four-wheel drivetrain. Tata Hexa lauch will also bring the customers face to face with some amazing styling and expectional features of the vehicle. The price range is also pretty expensive and expected to be between 10 lakh - Rs. 15 lakh.